Concerto in c major RV 87 for recorder, oboe, two violins and b.c. Concerto in g minor RV 107 for recorder, oboe, violin, bassoon and b.c. Concerto in d major RV 95 “La Pastorella” for recorder, oboe, violin, bassoon and b.c. 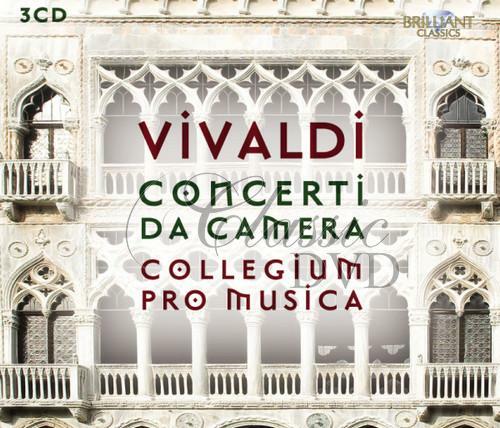 Concerto in d major RV 94 for recorder, oboe, violin, bassoon and b.c. Concerto in f major RV 99 for recorder, oboe, violin, bassoon and b.c. 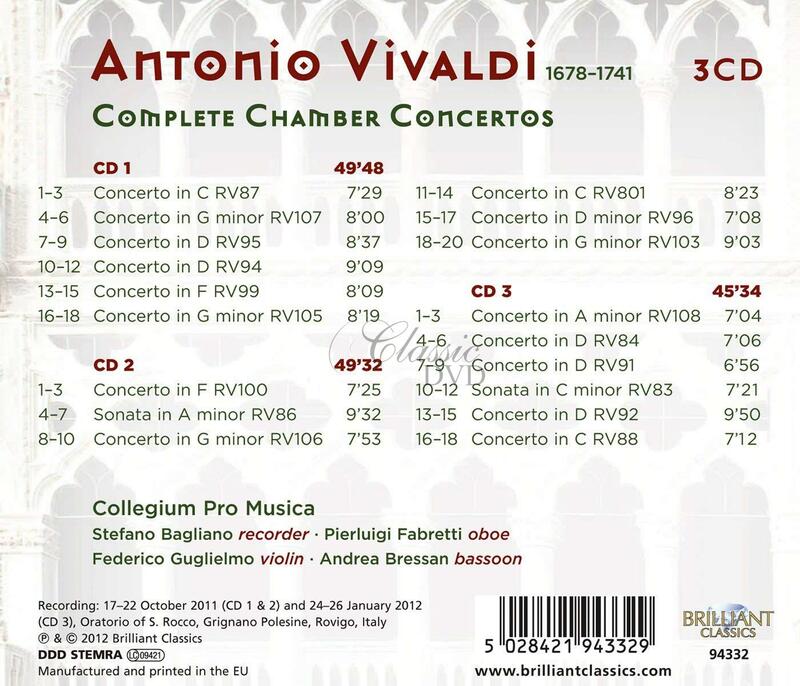 Concerto in g minor RV 105 for recorder, oboe, violin, bassoon and b.c. Concerto in f major RV 100 for recorder, violin, bassoon and b.c. Sonata in a minor RV 86 for recorder, bassoon and b.c. Concerto in g minor RV 106 for recorder, violin, bassoon and b.c. Concerto in c major RV 801 for oboe, violin, cello and b.c. Concerto in d minor RV 96 for recorder, violin, bassoon and b.c. Concerto in a minor RV 108 for recorder, two violins and b.c. Concerto in d major RV 84 for recorder, violin and b.c. Concerto in d major RV 91 for recorder, violin, cello and b.c. Sonata in c minor RV 83 for violin, cello and b.c. Concerto in c major RV 88 for recorder, two violins, cello and b.c.